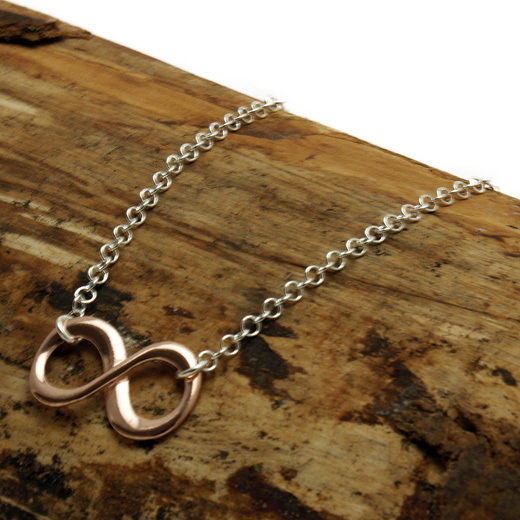 This this is a light weight delicate necklace with a contrasting silver rose plated central infinity loops is on trend for the season. 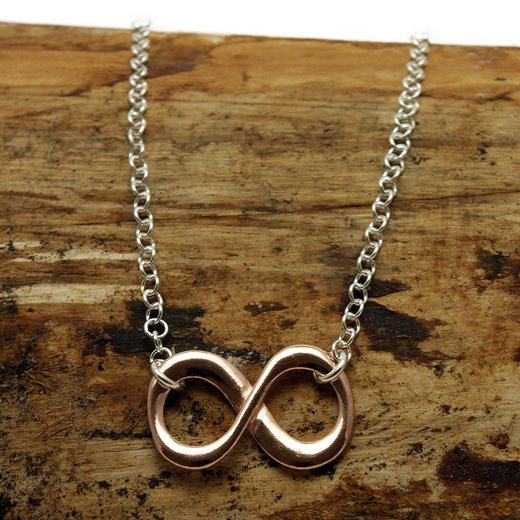 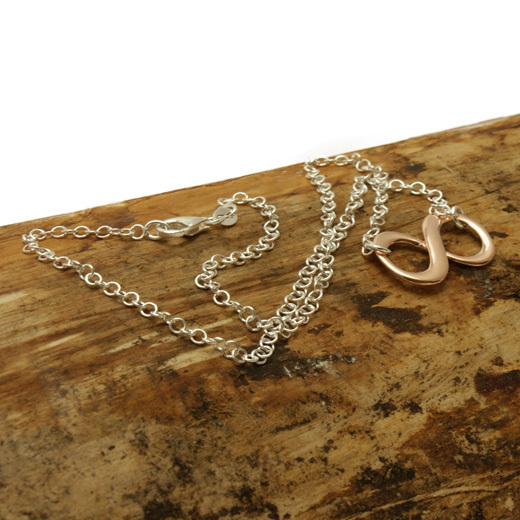 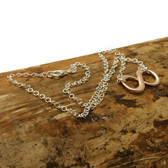 It is an attractive necklace links the infinity symbol with one 'O' link to the chain and fastens with a lobster clasp. 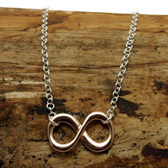 It can be worn with any outfit and will compliment any look from casual to smart.